The support team will take care of the configuration and update you via the ticket once this is completed. How do I send an eFax? There can be a max of 5 senders per tenant. 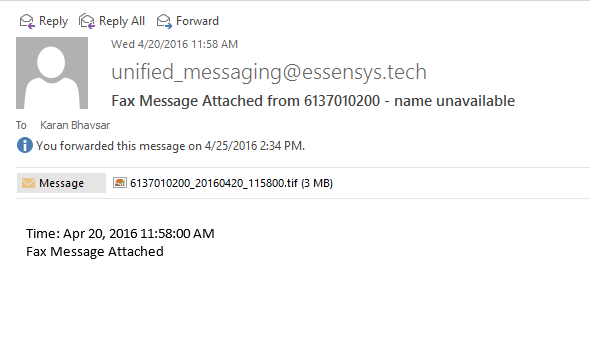 In order to send an eFax, the user’s email must be on the list of authorized senders. They can request this access from their office administrator or site operator. Important: Anything you type or insert into the body of the email will be sent as a cover letter on your fax attachment. 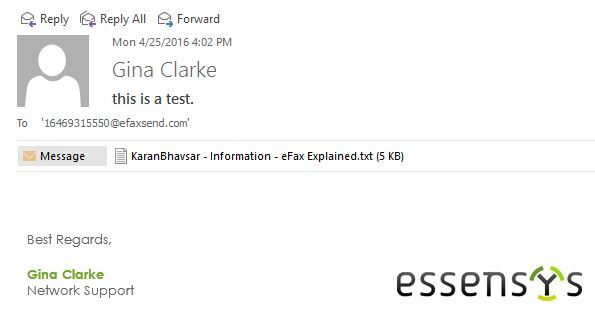 How do I know if I've received an eFax? There can be only one receiver per tenant. In order to be the designated receiver, a user must request this access from their office administrator or site operator. If you have any questions/concerns regarding eFax, please raise a case via the Support tab in Connect.